322 pages | 12 Color Illus. | 79 B/W Illus. 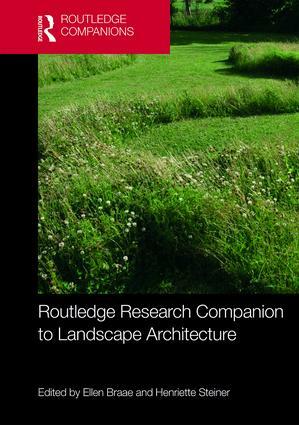 Ellen Braae has been Professor of Landscape Architecture Theory and Method at the University of Copenhagen, Denmark, since 2009 where she heads the research group ‘Landscape Architecture and Urbanism’. She has been Visiting Professor at AHO, Norway (2010) and TU Delft, the Netherlands (2018). Her research bridges design and humanities with focus on transformation of post-industrial and welfare landscapes. This crossover is partly reflected in her recent book Beauty Redeemed. Recycling Post-Industrial Landscapes (2015), partly in her positions as Chairman of the Danish Art Council | Architecture (2018-2021) and member of the National Independent Research Council for Culture and Communication (2011-2015). Henriette Steiner is Associate Professor at the Section for Landscape Architecture and Planning at the University of Copenhagen, Denmark. Her research investigates the cultural role and meaning of architecture, cities and landscapes. She is author of the book The Emergence of a Modern City: Golden Age Copenhagen 1800-1850 (2014) and has co-edited six academic volumes, including Architecture and Control (2018). She obtained her PhD from the University of Cambridge, UK, in 2008 and afterwards held a position as Research Associate in the Department of Architecture at ETH Zurich in Switzerland for five years.